Callas Rennsport in Torrance, CA has been in the business of repairing, maintaining and restoring BMWs and Porsches for over 16 years. Tony Callas's father owned a Porsche repair business since 1970 and raised Tony with a solid background in repairing, maintaining, restoring and racing automobiles. 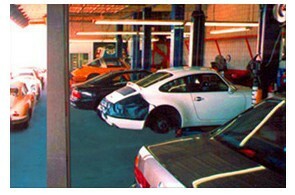 Once you visit Callas Rennsport, you'll see why word of mouth has driven nearly all of our business for over 16 years. 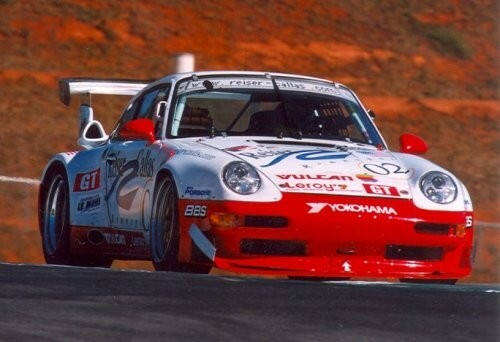 Callas Rennsport also was one of the 2 Porsche factory race teams for 2 years in the American Le Mans and Grand Am Series. From 850Is to 356s. Callas Rennsport has the knowledge, experience and the tools to give your car the best possible service. We've recently expanded our workspace to include five complete service bays and a detailing operation: Immaculate Auto Detail. Tom manages the show from the office with the assistance of Fran. Tom's the one who sets the schedule and sees that it all comes together to make your experience with Callas Rennsport a happy one. Ramon (Ray) has been with Tony's shop since its inception. 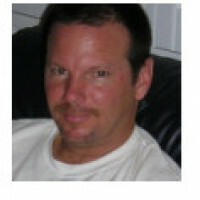 Ray is a seasoned Porsche and BMW specialist with years of experience. Together with Tony, this team offers Ausgezeignet service with a capital A. As a precocious kid growing up around his father's sport car shop, Tony's mechanical talent was obvious. At age ten he was servicing Porsches. By sixteen, he was attending factory seminars during the week and crewing a race team on the weekend. In an effort to add to his growing skill, Tony accepted positions at several highly regarded shops in the L.A. area, including the renown Vasek Polak dealership. Tony's ambition, through all of this, was to open a small, specialized shop of his own, a goal he realized in 1991. While running a successful and growing business, Tony's love of racing hasn't diminished. Tony was a crew member on the Daytona and LeMans winning Rohr Motorsport team, competing in the GT-1 and 2 classes internationally. Unsurpassed expertise, full transparency, accountability, and friendly service. A rare experience worth the price. Great service, great turnaround time, experienced mechanics. Always a 5-star experience with Tony, Tom and their highly capable mechanics providing expert consultation, personal service and attention to detail. Tony and the team always takes the best care of the cars, perhaps more so than myself. They truly love and stand by their work. Bravo guys! Excellent service, as always. Tony, Tom, Steve, and the rest of the team are always looking out for their customers. They won't give up until you're satisfied with the result. Thanks! It just doesn’t get better than Tony and his Callas Rennsport team! Thank you Tony and Tom! I have a 2006 BMW 650 that needed attention I wouldn't be able to have the dealership do and a small shop wouldn't know how. The PROFESSIONAL technicians at Callas Rennsport performed very detailed service work and the car runs and handles better than the day I bought it. Their work is of extremely high quality and I would strongly recommend them. Tony and Tom go above and beyond. Great communication and great service.